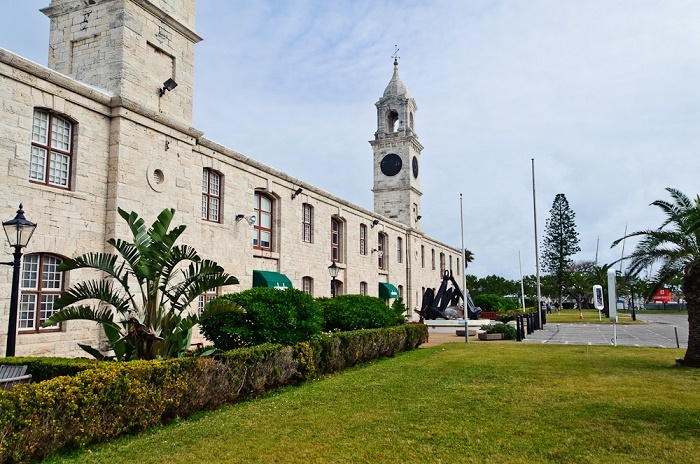 HMD Bermuda (Her/His Majesty’s Dockyard, Bermuda) was the principal base of the Royal Navy in the Western Atlantic between American independence and the Cold War. 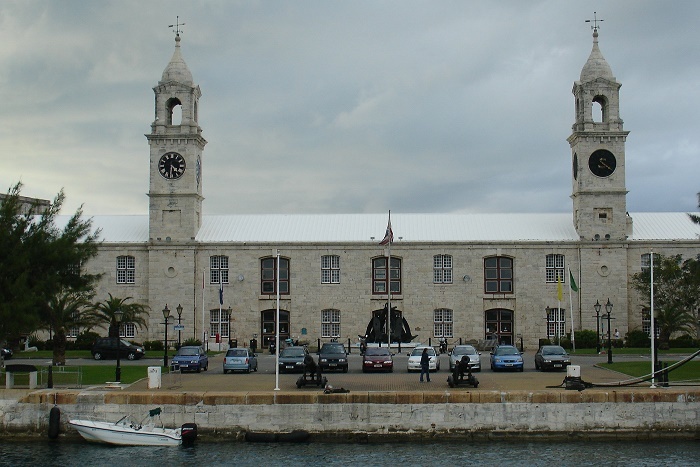 Over 150 years of service as the bastion of Royal Naval might in the Western Atlantic this dockyard launched ships that changed history. 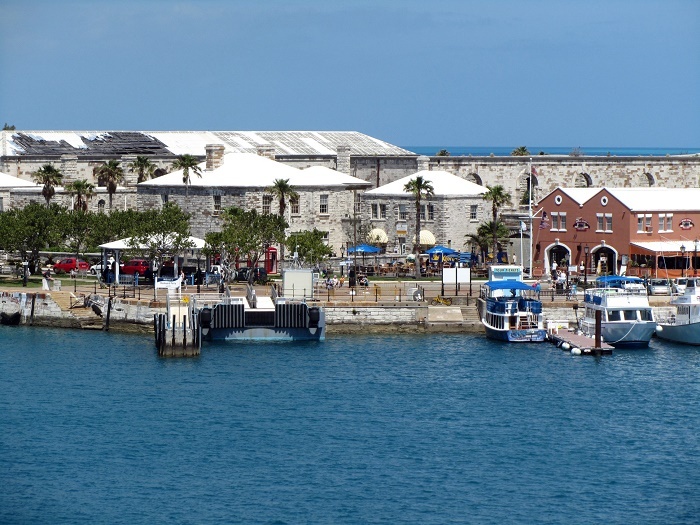 For example, during the War of 1812, a British fleet sailed from Dockyard on its infamous mission to attack and seize Washington. 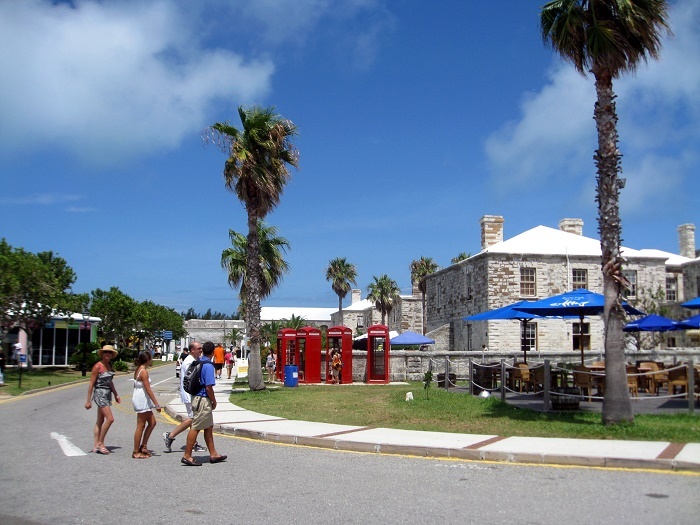 Bermuda had occupied a useful position astride the homeward leg taken by many European vessels from the New World since before its settlement by England in 1609. 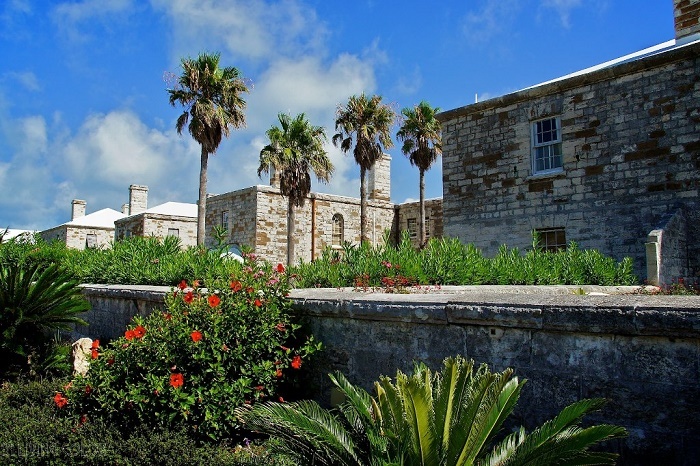 French privateers may have used the Islands as a staging place for operations against Spanish galleons in the 16th Century. 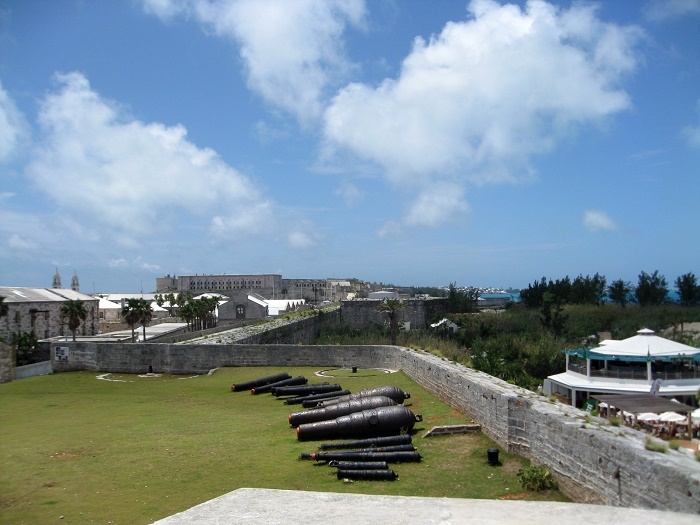 Bermudian privateers certainly played a role in many Imperial wars following settlement. 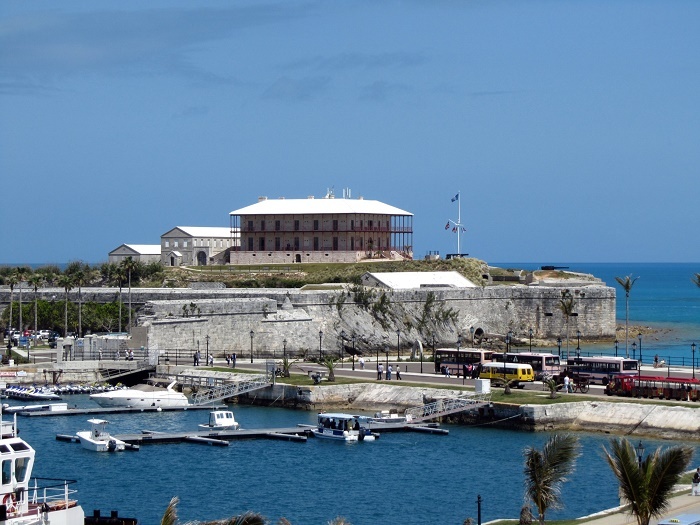 Despite this, it was not until the loss of bases on most of the North American Atlantic seaboard following US independence) threatened Britain’s supremacy in the Western Atlantic, however, that the Island assumed great importance as a naval base. 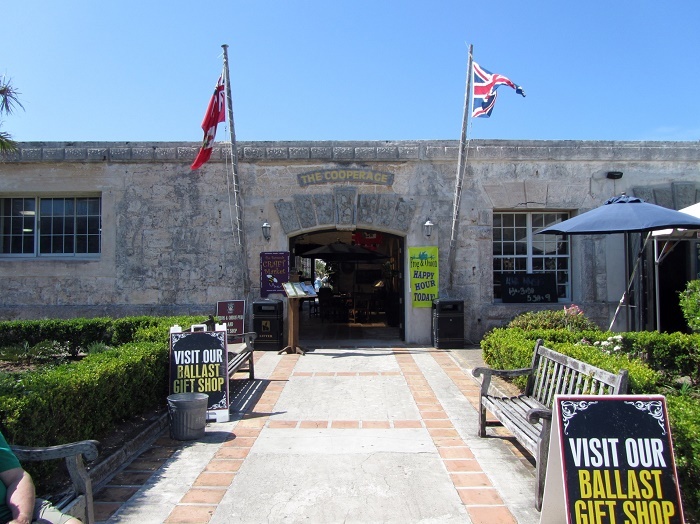 In 1818 the Royal Naval Dockyard, Bermuda officially replaced the Royal Naval Dockyard, Halifax as the British headquarters for the North America and West Indies Station. 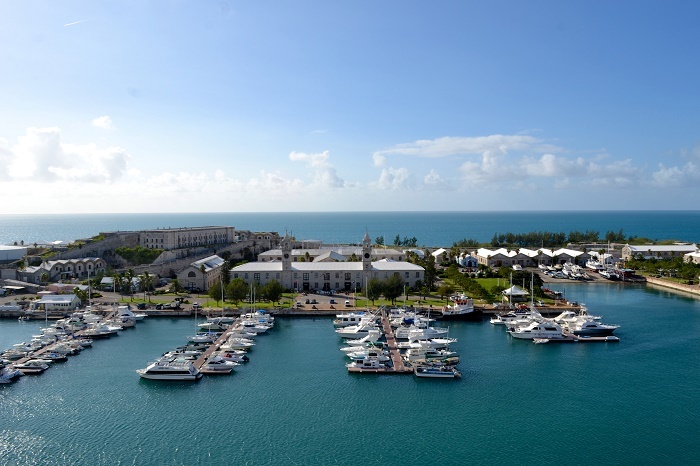 Although Bermuda was a naval base, her warships were normally spread far-and-wide across the Atlantic, unable to protect the base or the colony. Early in the war German battleships, operating as commerce raiders, created some concern of Bermuda’s vulnerability to naval bombardment (especially when Convoy HX 84, which included ships from Bermuda) was attacked by the Admiral Scheer in November, 1940), but the island was never attacked, and the threat of German surface vessels and their aircraft quickly faded. 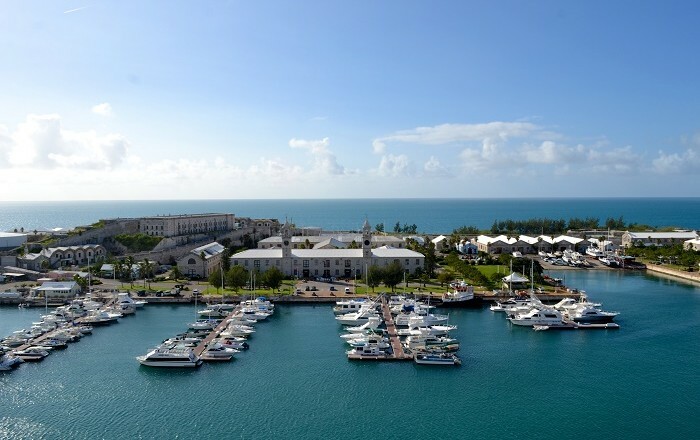 After the Second World War, the USA, having been an ally in both World Wars, and a continuing ally under NATO, the naval base in Bermuda diminished rapidly in importance to the Admiralty. 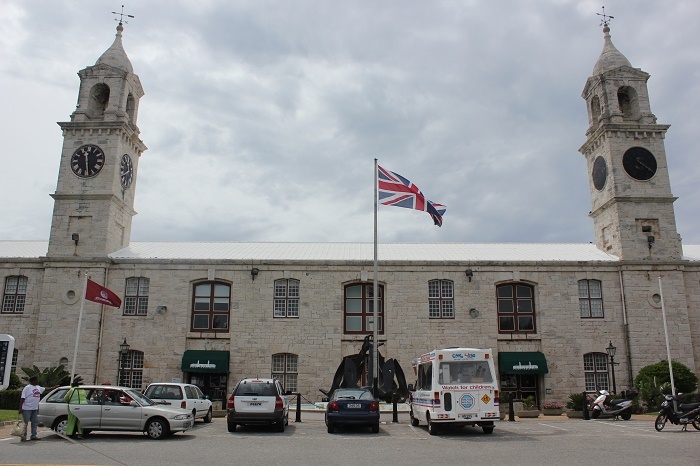 Since Bermuda is located in the Atlantic and was far from reach of the Warsaw pact countries, the Royal Navy closed most of the Dockyard facilities in 1958, with most of the landholdings by the Admiralty being transferred to the local government for £750,000. 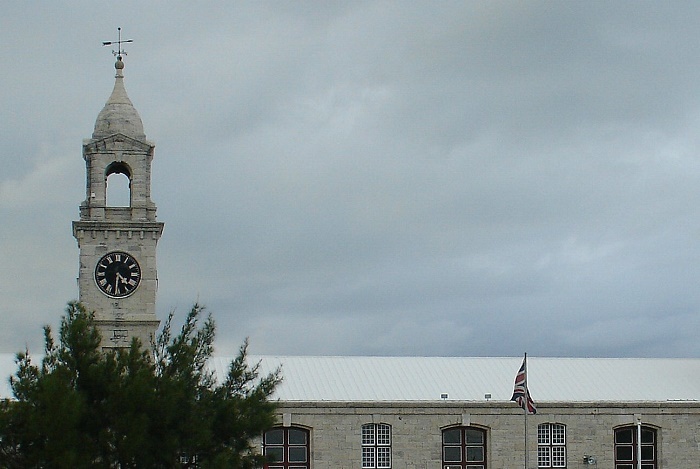 Nevertheless, the South Yard of the Dockyard was retained as base, which was reclassified as a supply station, so that later in 1995 to be closed. 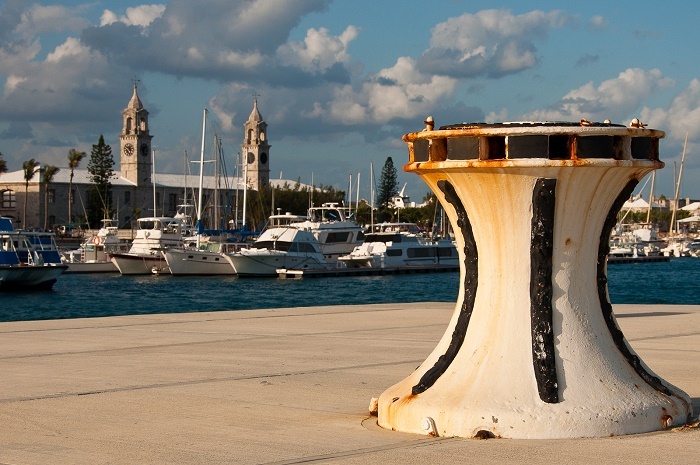 Of course, after closing bigger part of the base, it fell into state of disrepair. 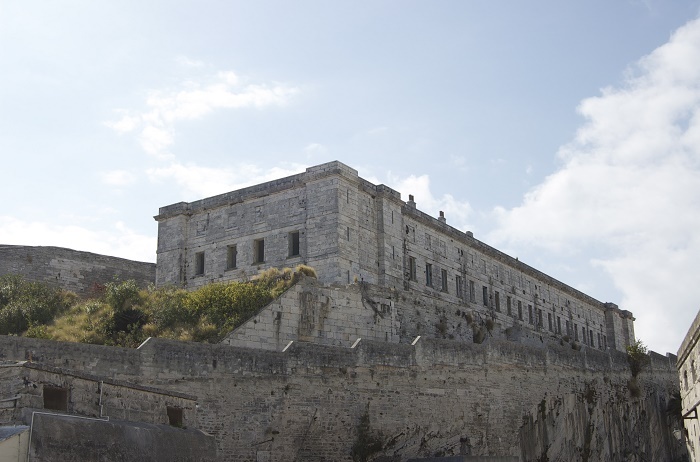 Damage was caused to many buildings by the storms and the lack of maintenance. 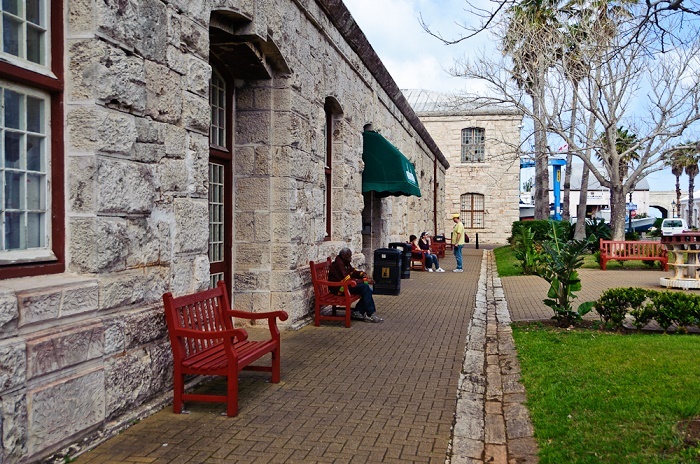 With the growing of the tourism sector in Bermuda, there was an interest for the dockyard to be repaired and made into a tourist attraction. 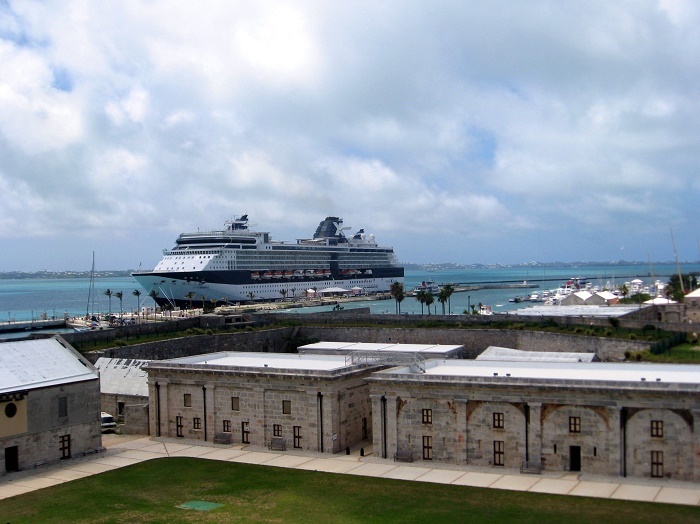 Nowadays, cruise ships regularly land at the dockyard during the summer months.